Forgive me for not having a technically good photo this week but this was one of those moments when I had to grab the camera and click away as quickly as possible before the moment passed. This entry was posted in Alphabet Photo, Camping on August 12, 2014 by Lou. We came across this old boat house while we were canoeing couple of weeks ago, It looked pretty cool in colour and I used a head on shot for my Silent Sunday that week (well done to the lovely HelpfulMum who was the only person to realise I had deliberately posted the picture upside down!) but I just love the drama of this side on shot in black and white with the glass-like water creating an almost perfect reflection. This entry was posted in Black & White Photography on August 9, 2014 by Lou. The very lovely Holly at English Girl Canadian Man has come up with a range of themes for us to write about to help newbie expats, like us, get our heads around some of the issues we need to face on a daily basis. Our first topic is Self Esteem. My self-esteem has been boosted and taken hits in equal measure since we began our expat journey but on balance my self-esteem issues seem to have worsened since we have been here in Canada. Constantly being told you are saying things wrong or weird. Feeling different from everyone else, looking different and generally feeling unfamiliar and therefore uncomfortable all contribute to a constant assault on my already fragile self-esteem. Probably the worst feeling though is when I feel completely alone in a room full of people. No one really gets me here, they don’t understand what our lives were like back in England and they don’t understand them now. I can’t join in conversations when they talk about their past, childhood experiences that I don’t share or even their work week, they assume I don’t have an opinion because I’m not working right now. As a result of feeling like I have nothing valuable to contribute to a conversation, when I’m in a group of people I barely speak at all anymore. I have become much more withdrawn since becoming an expat. There is no normal anymore, no familiar safe place to retreat to and restore my depleted resources. I screw up all the time while I relearn everything I thought I knew. I often go to bed feeling annoyed, disappointed and frustrated. I’m an intelligent girl after all but I can be completely defeated by a simple trip to the shops. There have been many times when I have confronted a fear head on and alone and survived it. I’ve put myself in situations so far out of my comfort zone I can’t see the boundary and lived to tell the tale. The thing is when there is no one there to see my achievements or share these experiences with, somehow they don’t feel so important. Which leads me to wonder whether my self-esteem is entirely based of the opinion of others. Do I need someone to tell me that I’ve done a good job or recognize an accomplishment in order to feel it myself? The truth is, I probably do. One major bonus about being, in effect, invisible to the outside world where no one knows me at all is that there is no one there to see me fail. I only have my own conscience to deal with when I screw up, unless I choose to share it on the World Wide Web of course! If I fall off my heels and go arse over head in a DIY store and get so bruised I look like I’ve done 10 rounds with Mike Tyson (yes…I did) who cares, no one will ever know or no one that matters anyway. I’m still working on a solution although I have noticed that the more I put myself outside of my comfort zone the more my confidence grows, albeit slowly. I have discovered staying at home by myself just makes me feel a whole lot worse so I need to make the effort to get out. When it comes to being invisible in a group, I’m happy for other to take centre stage, I’ve never been one to hold court anyway and I have my blog to help me ‘speak’ about things I want to. The blogging community has been wonderful for empathizing with me, been a fabulous group of listeners, offered advice and they are very free with their compliments, which always makes me smile. This entry was posted in Expat Issues on August 7, 2014 by Lou. This entry was posted in Alphabet Photo on August 5, 2014 by Lou. This entry was posted in Canada, Silent Sunday on August 2, 2014 by Lou. This whole week has been taken up with preparation. With the continuing saga of if/when we will start up our business dominating our every waking moment I have decided to start preparing myself for it now. It has been three years since we left our business in England, since then and the Air Conditioning industry has moved on significantly. I have also discovered this week that the industry here in Canada has a whole different terminology to what I am used to plus the fact that much of the tax system is different too, boy do I have some catching up to do! So this week started with the first in a series of courses I am doing to get myself up to speed and many hours, often long into the night, spent building our company website. In fact I have rarely been further than arms length from my laptop all week! What is unfortunate is that when Hubbie comes home from work to see what I have done on the website more often than not he is pointing out words or phrases I have used that are different here and “don’t make sense”. It’s rather frustrating to say the least and it can feel like one step forward and two steps back at times. Regardless, it’s feels nice to be busy again and comforting to know that if/when we do take the plunge I’ll be ready for it. This entry was posted in Word Of The Week on July 31, 2014 by Lou. This entry was posted in Alphabet Photo, Lake Pictures on July 29, 2014 by Lou. This entry was posted in Lake Pictures, Silent Sunday on July 26, 2014 by Lou. Reflective is the word that best describes my week for a couple of reasons. The first is our holiday, which sadly came to an end at the beginning of this week. We were camped right on the shores of Lake Temagami in Northern Ontario. We had a fabulous week exploring the area and my favourite prt of the days were the evenings when the lake turned to glass and the reflection of the evening sky was absolutely perfect, we’d grab the canoe and kayak and head out for a paddle. Reflective also suits my mood this week as Sunday was exactly three years since we arrived here in Canada. Our anniversary is the time when I reflect on the changes in our life, weigh up the pros and cons of expat life, remember the past and look to the future. 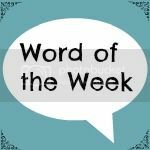 This entry was posted in Camping, Holidays, Word Of The Week on July 25, 2014 by Lou. This is youngest Son in his new kayak, last Thursday. This entry was posted in Alphabet Photo on July 22, 2014 by Lou.